SOCHI. Oct 18 (Interfax) – Russian President Vladimir Putin sees himself as a nationalist who advocates the preservation of a multi-ethnic Russia, not as the “caveman” kind. “If we are going to peddle such caveman nationalism, pour dirt on representatives of other ethnicities, we will break up the country, and the Russian people are not interested in this. What I want is to preserve Russia, including in the interest of the Russian people,” Putin said at the Valdai Club on Thursday. “It was in this sense that I said I am the most correct, most genuine, and most effective nationalist,” he said. “But this is not caveman nationalism of the stupid, moronic type that leads to the collapse of our state. That’s the difference,” Putin said. Normally, nationalists argue that they are the best defenders of the interests of a particular ethnicity, people, or nation, he said. “And the Russian Federation, from the start, from its very first steps, was formed as a multi-national state,” Putin said. The Russian nation has not always been around, but grew out of various Slavic tribes, he said. “At some stage there were no Russians. Then the formation began on the basis of a common market, princely power, a single language, and then a single faith. 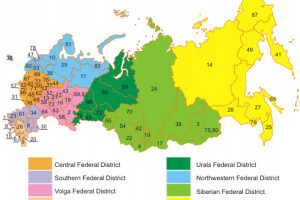 A Russian nation was formed, but it was formed out of various tribes,” Putin said. “There were very many Finno-Ugric ethnicities. We now find material evidence that Finno-Ugric people lived in what today is central European Russia, not near [Lake] Ladoga. Russia was formed as a multi-national state before it became a multi-faith one,” Putin said. Over the centuries of its existence, the Russian state has been stable primarily because, from the start, there were very tolerant attitudes among all the peoples and religions making up the state, he said. “This is the foundation of Russia’s existence. If we want Russia to remain so and to develop, strengthen, with the Russian people, of course, as the titular nation, then it is in the interest of the Russian people to preserve this country,” Putin said.